I saw a healthy, white, 36 year old female in my office for a routine eye examination. Her vision was 20/20 in both eyes, with no need for glasses. Her intraocular pressures measured 32 mm Hg OD and 28 mm Hg OS. With elevated pressures inside her eye, she needed additional testing and more frequent examination since she is at higher risk for glaucoma. Glaucoma is the second most common cause of blindness in the United States. Glaucoma has few symptoms until there’s permanent damage. Regular eye health exams are the key to detecting glaucoma early enough to successfully diagnose, treat your condition, and prevent further progression of your condition. 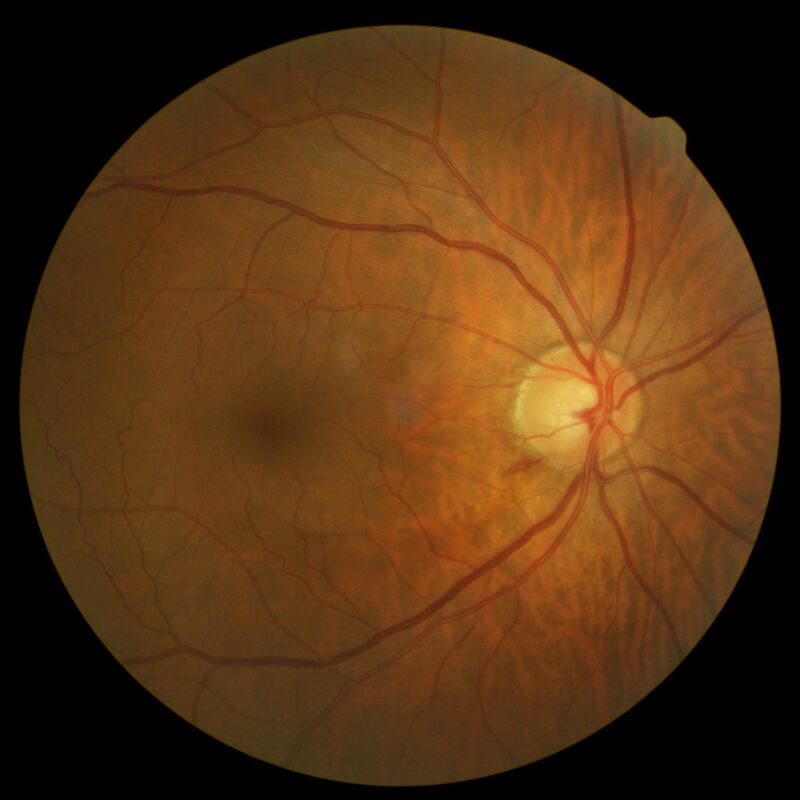 A small bleed on the optic nerve pictured here is a sign of trouble. Damage due to glaucoma is likely. Treatment and intervention is necessary to prevent this damage.